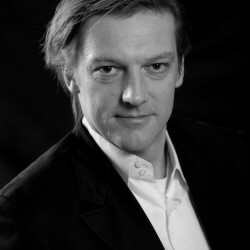 Today you will get to know one of our longterm landlords Markus P. Swittalek from the City Apartments. His apartments are in the heart of the city in a historic palace. But let him tell you by himself more about the exciting story of the house and be inspired by his personal tips. 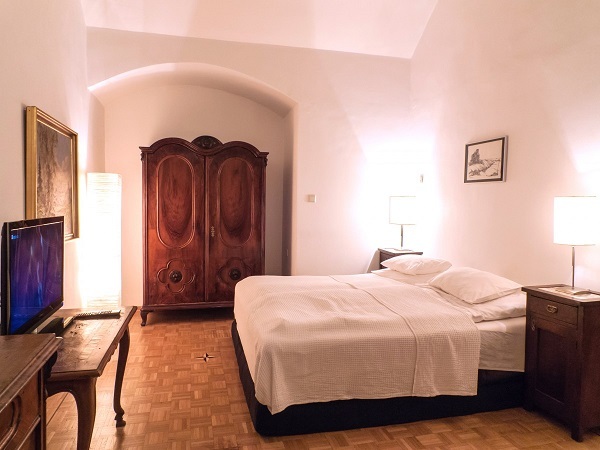 Architect and host of apartments in Palais Brambilla - a house with a long history and a modern lifestyle. The Palais Brambilla, where the apartments are locatd, is named after our ancestors, who came to Vienna from Lombardy in the time of Mozart. Johann Alexander von Brambilla was physician and confidant of Emperor Joseph II and initiator of the medical-surgical academy - Josephinum. Even after the Napoleonic wars, our branch of the family remained in Vienna. 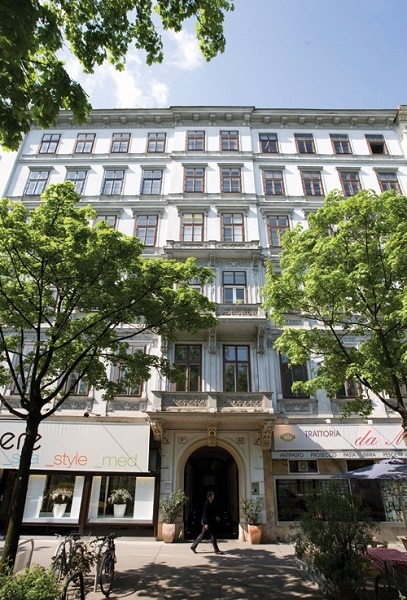 In 1861, the Haus am Kai was erected as one of the first buildings along the new Ringstrasse and is regarded as a key building for the Gründerzeit in Vienna. Many details have survived to this day and let the history of the last 150 years be traced. Design implants and the two unique elevators are an expression of modern architecture and contemporary art that are attracting international attention. 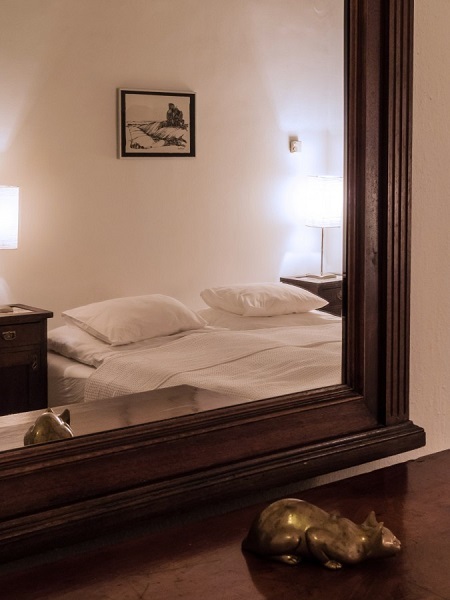 Our guests will not only find apartments, a gallery, a restaurant and a medical spa, but also history and stories - about Emperor Joseph II, the Vienna Ringstrasse, the political events of the 20th century - and also modern art. What is so special about your work? What do you like about it? How did you got the idea doing this? I would like to give visitors, who come to Vienna, an insight into this city, which is otherwise not so easily accessible. Art plays an important role in our lives. 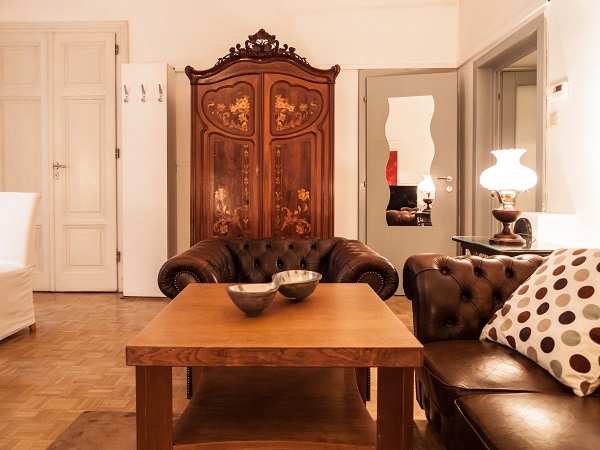 In addition to architecture at www.moment-home.com, we can also take part in festivals such as the Vienna Art Week with the stable gallery, which has been submerged in the former horse stallion. We are bringing our international artists to the world of Vienna. Do you have a typical day? The variety of my work brings great diversity. But there is always time for our guests, because we see ourselves as a host, for whom the contact to the guests is important. There are so many stories of our guests which I still remember. Some of them can be read in our guest books. This way each guest can get a picture himself. Because Vienna is the city of the Third Man (The Third Man - British thriller, with Orson Welles, 1949) and one can climb into the Viennese underworld right in front of our house. What do you like abou the city? History that is alive in the cultural heritage of this city. The Josephinum with the Museum of the History of Medicine and the collection of anatomical wax models from the Age of Enlightenment. Did you want to stay in this exciting palais, getting to know Markus and his family personally? Then just have look t the "City Apartments". Markus is looking forward telling you more about Vienna and its history.